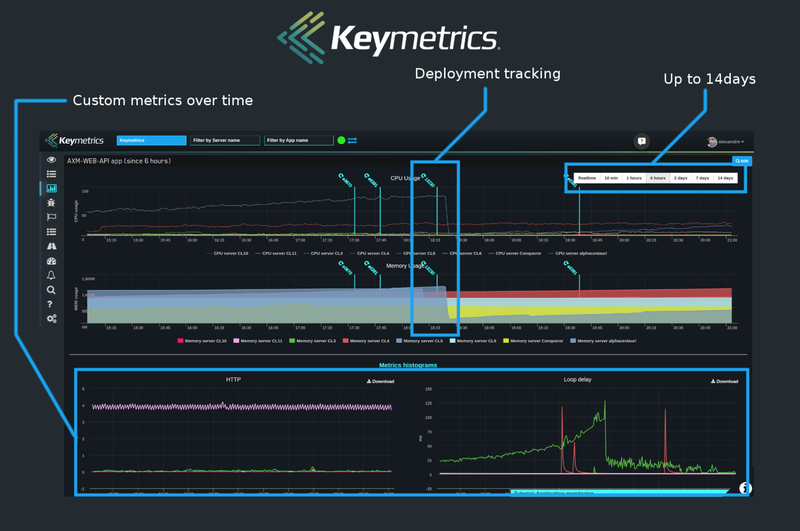 Keymetrics is a powerful networking software that allows you to supervise and to manage applications and servers in real-time with using a beautiful dashboard, that is capable of monitoring from one to hundreds of applications on numerous servers. The service of Keymetrics is built on top of PM2, which is an advanced process manager designed for any kind of Node.js applications. PM2 is Open Sourced on GitHub and the downloads have already over 1million. This managing application including restart, reload and graceful reload; receiving alerts when critical events happen in the application. 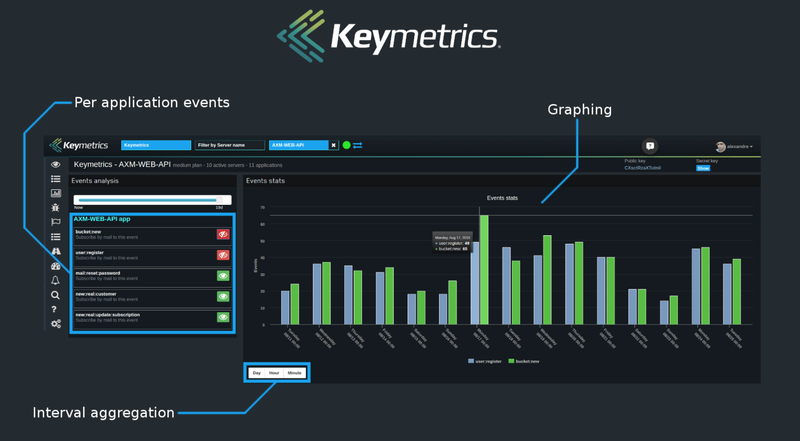 Keymetrics also optimize applications with giving sensors, histograms, counters, meters to monitor audit and optimize code, improving performances by automatically load balance multiple copies of web applications. Also, customers can create and emit custom events from their code and analyze them in keymetrics. With PM2, customers are allowed to update their application without any downtime. Currently, we have more than 40 thousands of users from different regions all over the world, every month there are more than 2 thousand people sign up for Keymetrics and use pm2 to monitoring their applications and websites. What we do is not only about online technology service, we also set up meetups periodical to share awesome technology ideas and products with people. 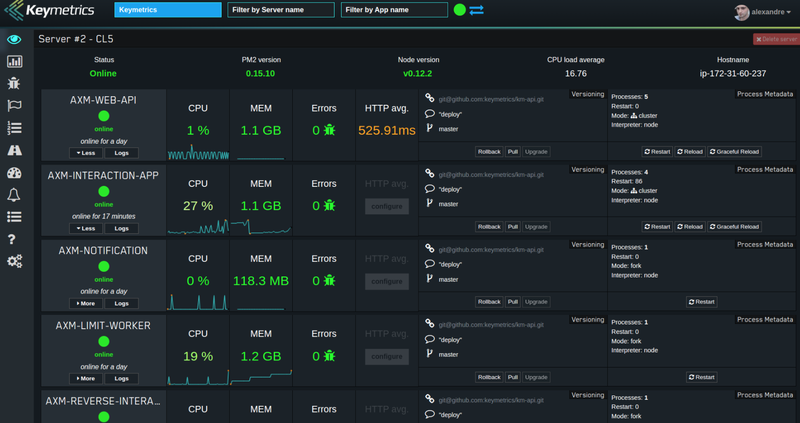 Now, why hesitate to set up your first production environment and discover how to use Keymetrics?